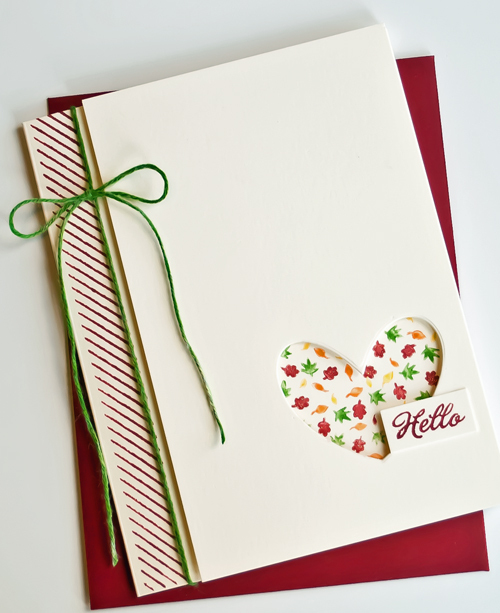 Used the tiny set of four leaves in Stampin Up Holiday Home to make a background to peek out from the die cut heart. I know I am way behind on ReDesign on a Dime and Sunday Savings posts. They'll be back when time permits. In the meantime, I hope to post a few cards here and there. Joan, this is so cute! I am in the habit of die cutting out of scraps, and not making a useable negative. Love this Joan! 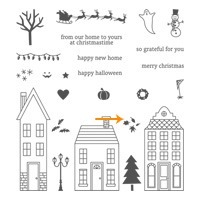 I love how you used such a tiny stamp in the set for the focal point. I often forget to use the negative cut out from a punch. The treatment on the left side of the card is great too - adds some interest. Is the left strip stamped or patterned paper? A very cute card and a clever layout. I love the simplicity of this card. Although I'll bet coloring all those little leaves and getting them stamped wasn't quite as simple. It's awesome though! THis is a fabulouus card, and you are making me want this SU set. STOP IT!!! (please). Also, love your beach pics.